Digital printing technology has opened up a whole new era of Print-on- Demand, and with this incredible innovation in the way we now print textiles you can now print just one metre of fabric as required. Customised manufacture now also offers the Designer the ability to order very small quantities of sewn products. 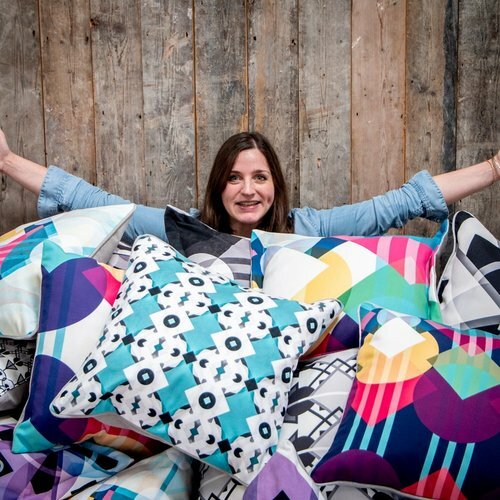 We are entering a new chapter for Designers who can now explore a myriad of commercial opportunities by selling their designs as finished products direct to retail. However mistakes are often made, costing time and money and it’s not easy to begin a digital manufacturing journey. Do not trust GOOGLE!..The company shown first is not necessarily the best. Do your research carefully, visit the websites of all potential suppliers, call them, YES!…speak to a Human being. Visit the manufacturer if possible and check that they offer the suite of products that you need, and that they offer clear concise information and supply chain transparency. Request samples for any fabrics that you might want to print. Printed and Unprinted, and before you place an order. Not all fabrics are equal, and qualities vary by supplier. Do NOT go straight ahead to make stock. Request printed samples of your designs or made up products and only when you’ve tested that they meet the regulatory needs of end use (as your customer will) progress to production. Correctly label your products for re-sale. If you don’t, not only do you breach regulations, but also leave yourself wide open to miss-use and returns. NO two printer providers print the SAME colour!...There are multiple options for digital print technology, inks and fabric processing and all of which affect colour. Speak to your PSP (print service provider) and ask how you should prepare your artwork correctly for their print process.